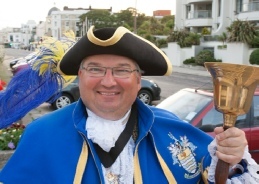 Bob Smytherman Mayor of Worthing 2013 - 2014 is the new Town Crier of Worthing. 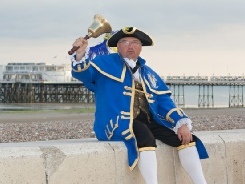 With his success as Mayor he is proud to take on the role - Worthing hasn't had a Town Crier for nearly 25 years. 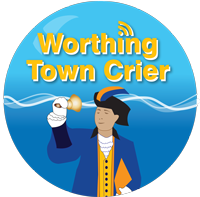 The Worthing Town Centre Initiative is a not for profit Community Interest Company Co No. 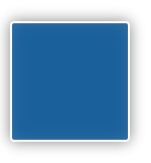 6977508. 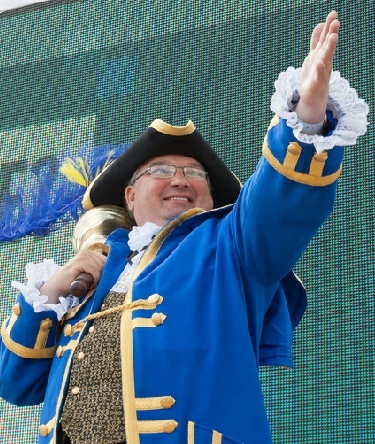 The company has an objective of developing an interesting and vibrant Town Centre that public want to visit and businesses thrive. 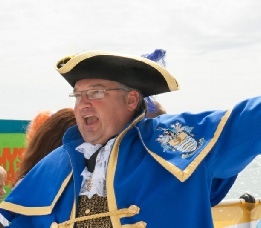 We encourage businesses to invest in the Town in which they trade to provide a safe and clean town with lot of free events and activities for the public. 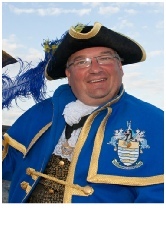 All the Directors invest their town free of charge and the organisation does not make a profit but invests its funds in the Town. 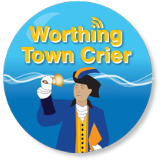 The Town Crier will help to promote Worthing, provide an attraction to Worthing Charities at no charge and will also generate funds for charities from his commercial services.